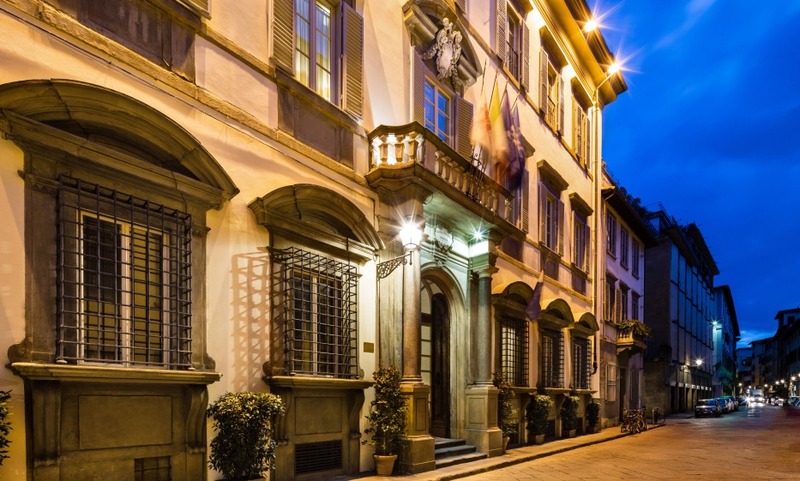 In the historic centre of Florence, an 18th century residence hosts the exclusive, refined Relais Santa Croce hotel. Surrounded by its sumptuous furnishings and frescoed ceilings, you will be assisted by highly professional staff and delighted by the evocative nature of this truly extraordinary location. Excellent hotel in the historic center of Florence. Beautiful buidling - common areas and the room. Very friendly and helpful staff which provide first class service. I will stay in the hotel again - with great pleasure. Stunning hotel, a genuine Florentine palace with charm and an an excellent location at the heart of Florence. It was great. Excellent hotel in the heart of Florence. Would choose it again! All staff were very helpful and their suggestions helped me have a comfortable stay. Their services are top class without any haughty attitude. A very central location in Florence. As soon as you walk through the doors of the Palazzo, there’s an unmistakable sense of exclusivity. It’s a magical place.